The Ultimate Beginner Series has helped thousands of aspiring musicians take their first steps toward experiencing the fun of playing music. Now you can experience both step 1 and step 2 together on DVD. 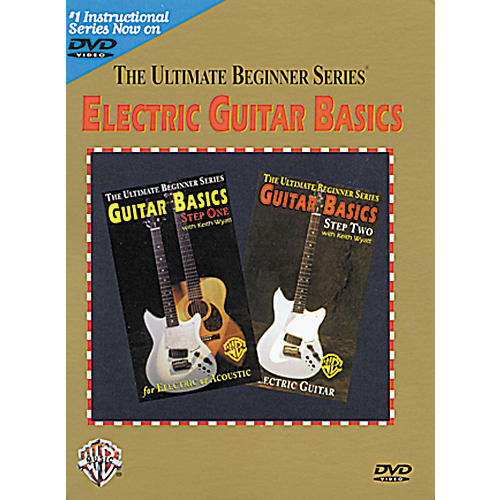 On your Electric Guitar Basics DVD, you will learn how to tune up quickly and accurately, how to change strings, how to play the most popular chords, beginning strumming techniques, clean and accurate picking techniques, special electric guitar skills, and much more. Special features include interactive menus, random access scene selection, superior audio/video quality, Internet connectivity.